﻿﻿﻿Welcome to the 2018 Maine FLL Program. The Maine FIRST LEGO League season is upon us! 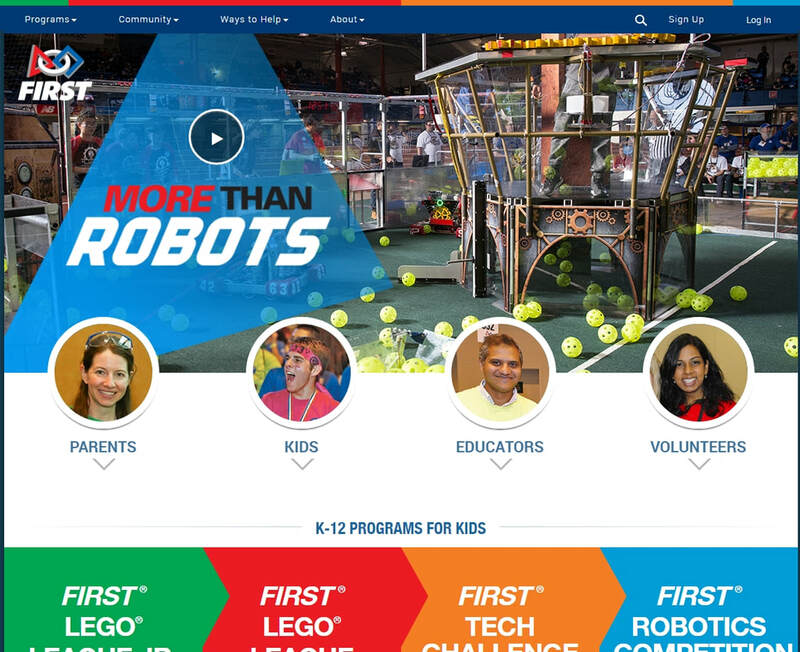 This year's theme, Into Orbit, has predicted over 75 teams in Maine this year and about 500 children actively building and programming robots, while they also learn all about traveling in our solar system. It is going to be a banner year! Biggest ever and a great topic. We need volunteers to help us run the events for 2018, and we're hoping you'll be able to help again this year. But even more, we're hoping some of you will sign up for a qualifier AND the State Championship. That's right, twice the fun. 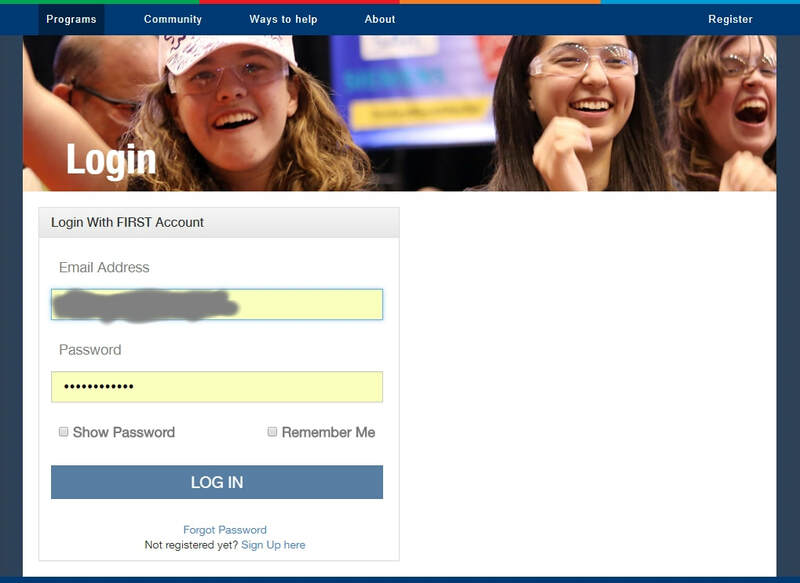 Returning volunteers, if you can't remember your password, just use the "I forgot my password" option. For roles, you can select from the roles shown (can select several) or select "put me where needed"
You'll have to go through it twice to volunteer for a qualifier and the championship. Note, you can't volunteer at two events that are running at the same time. The VIMS is part of the FIRST child protection program and requires that volunteers be screened and watch a youth protection program video. If you have never used VIMS before you will need to create an account. The process is not hard but there are a fair number of steps so if you run into trouble please feel free to contact us or check out the VIMS user guide. 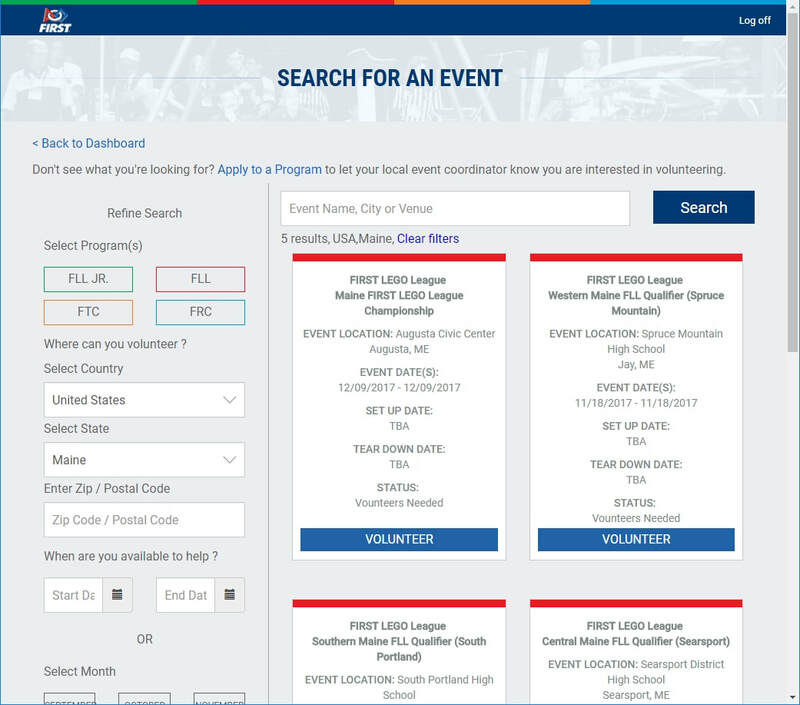 Once you've logged in, you can select Event Volunteering", then select "FLL", "USA", and "Maine" and hit "Apply Filters". You should see the 5 events listed below. Note: We have been informed that IPads, tablets, and smartphones sometimes have trouble with VIMS, we recommend using a laptop or desktop computer to register. ​Step one, visit FIRST and either log in or sign up​ at the top of the page. 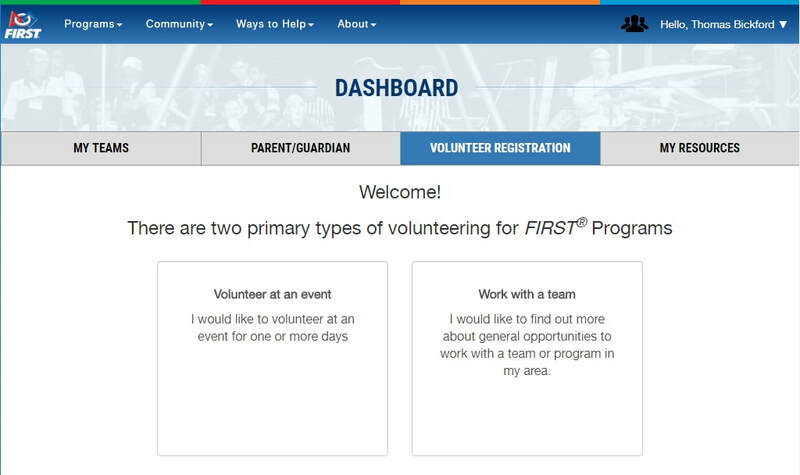 On the dashboard you will see "Volunteer Registration" and select that tab and you will see "Volunteer at an event"
Once you've selected "Volunteer at an event", you'll go to the "Search for an event" page. Select FLL, United States, Maine and you will see the 5 different events listed. Just select "Volunteer" under the event you are trying to volunteer for. And Thanks!